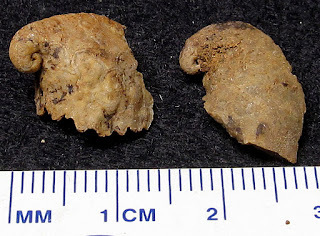 These fossils appear to be a Platyceras bucculentum gastropods. 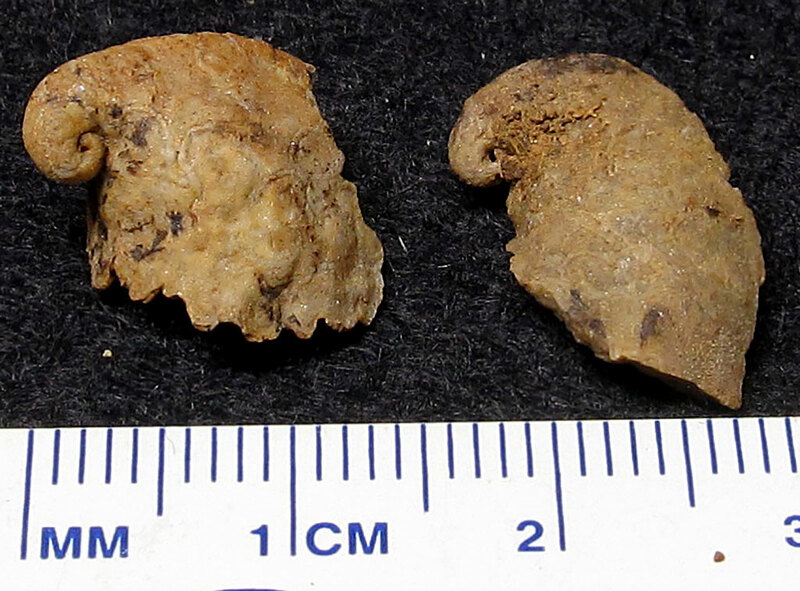 They were found in the Beechwood Limestone of Clark County, Indiana, USA. The fossils date to the Devonian Period.